The anticipation of the masses from the domestic or international automakers will over this year. The manufacturers who teased from their iconic and flagship products finally launched they’re upcoming for the enthusiasts. The most awaited 2016 Delhi Auto Expo will witness the arrival of the voyage of a plethora of two-wheelers in various segments as a commuter, cruiser, naked roadster, sports and super sports bikes to the Indian crowd. The anticipation of the masses from the domestic or international automakers will over this year. The manufacturers who teased from their iconic and flagship products will be ready to launch the range of bikes by the next year. The most awaited arrivals of the voyage of a plethora of two-wheelers in various segments as a commuter, cruiser, naked roadster, sports, and super sports bikes are ready to have your presence. To ease your hurdles in decision-making, here are the selected bikes under the range of below 1 lakh and below 2 lakh category. Benelli BN 125 is a new entry level naked motorcycle from the legendary Italian marque. Inspired by its elder sibling the BN 251, the bike is aimed at young riders. Under the fuel tank, the Benelli BN 125 gets a 125cc single-cylinder, air-cooled engine. The powertrain is rated to develop the maximum power of 11bhp along with 10Nm of peak torque via a mated five speed gearbox. Based on a trellis frame, the BN 125 gets USD front forks and rear monoshock to absorb shocks while a 260mm disc upfront with three-piston calipers and 240mm disc at the rear manage braking on the bike. Other than this, it comes with CBS-Combined Braking System which is going to be mandatory from April 2019. Aprilia STX 150 is a naked streetfighter with commuter abilities. The motorcycle displayed in India at a dealers meet conducted by Piaggio in Goa. Brand’s entry-level motorcycle is already on sale in several markets like New Zealand and Singapore. The Aprillia STX 150’s body language is not that aggressive though the components such as headlight and fuel tank are sharp and sculpted respectively. The suspension here comprises conventional forks up front and twin shock absorbers at rear. It gets a 149cc, single-cylinder, air-cooled engine with a five-speed gearbox. It’s launch is not confirmed yet though we can consider this commuter in coming future. In this competitive phase, Bajaj is come up with new Bajaj Pulsar 180NS in India. The design of Bajaj Pulsar is featured from Pulsar NS200 which is considered to be the most successful model of Pulsar. Apart from the design, it also takes a split grab rail and aluminum plate placement similar to Pulsar NS 200. Other features like LED tail lamps, stop lights, tyres, brakes, instrument console, headlamps, fuel tank, alloy wheel, and side panels are expected to follow its predecessor. The new model possibly gains a 4-valve, liquid-cooled engine which holds triple spark technology. The engine coupled with a 5-speed transmission is able to extract out the maximum power of between 19 to 21 BHP and maximum torque of 16Nm. To distribute the weight in 50-50, it has a perimeter frame. The expected mileage of the bike is 40 to 50 kmpl and top speed is 125 kmph. With an excellent offer in the category of lightweight cruiser motorcycle, the Suzuki GZ150 model is tested in India and soon it will launch in India. The cruiser is currently available in Vietnam and Colombia. The bike is powered by a single-cylinder, fuel-injected 150cc engine which is expected from Suzuki Gixxer to keep the cost low. Further, Suzuki can reduce the cost by replacing the fuel injection with a carburetor. The Suzuki GZ 150 weighs 137 kg and accommodates engine with a 5-speed manual gearbox setup. The height of the seat for GZ 150 is 710mm. The bike is able to churn out 15.42 BHP power at 8000 RPM and maximum torque of 11.20 Nm at 6000 RPM. Single front disc brake and front forks will be the same for the front end like conventional bikes. Although, the bike will take time to localize twin shocks, fuel tanks, seats, exhaust and alloy wheels. Suzuki GZ 150 costs Rs. 89,000 in Columbia which is lower than Suzuki Gixxer model (Rs. 93,000). Suzuki GZ150 and Gixxer use fuel injection in Columbia specific model and it is expected that the company can use the same with carburetor model in India. Honda CB125R could be understood as the lowered down version of the CB300R. As the motorcycle features similar Neo Sports Cafe design and styling of the later. Among onboard attributes, the Honda CB125R gets all the prominent components such as USD forks, wide tyres and all-digital instrument cluster. The lightweight motorcycle with just 126 kgs will get propelling power from a 125cc, single-cylinder, air-cooled engine. Mated to a six-speed gearbox, the engine is rated to develop 13.2 PS @ 10,000 rpm along with 10 Nm @ 8000 rpm. A pair of 300mm disc up front and 230mm disc at the rear manage braking duties on the motorcycle. It will carry the price tag of around INR 1.10 lakh (ex-showroom), if and when launched. Yamaha XTZ125 is a motocross style motorcycle. As of now, it is under testing process and likely to debut in coming future with price tag in the vicinity of INR 1-2 lakhs. Beneath the fuel tank, the Yamaha XTZ 125 packs a single-cyl, 4-stroke, 124cc engine with power out of 12.5 HP at 8000 RPM and 11.5 Nm at 6500 RPM via a linked 5-speed gearbox. Rides on 21-inch front and 18-inch rear wheel, the motorcycle suspends over telescopic forks upfront and swingarm at the rear. While the braking is the responsibility of a disc brake upfront and a drum brake at the rear. KTM RC250 is an upcoming quarter-litre sports bike from the Austrian bike maker. In India, it is expected to appear in October 2019 with the price tag around INR 2 lakh. The motorcycle is already available south Asian markets, India launch expected soon. The motorcycle is powered by a 248.8cc, single-cylinder engine that churns out 30.87 bhp and 24Nm of torque. Other than this, the majority of cycle parts are shared from the RC390. Additionally, the ABS system will be standard fitment. Internationally, its fight against the Honda CBR250R and Kawasaki Ninja 250 SL. One of the classic enchantments of the bygone 2016 Auto Expo, the DSK Benelli TNT 135 aka Tornado naked T is a pure blend of aggressive styling and performance. With no direct competitions in India, this naked monster will hit the hearts of young bike enthusiasts when gets launched later this year. In mechanical terms, the bike grabs the brisk speed from a 135cc, single cylinder, 4-stroke, air-cooled engine that pushes out 12.6BHP of power and 10NM of torque. The motor is paired up with a five-speed transmission unit. Taking the suspension set up, it features 41mm upside-down fork up front while a swingarm with pre-load adjustment at the rear. 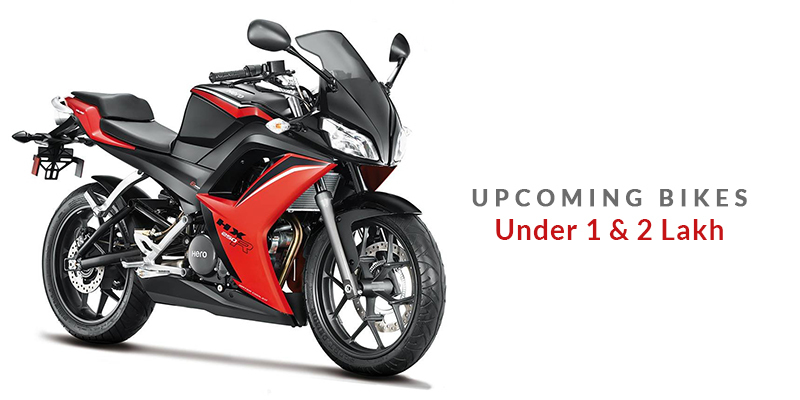 The naked TNT 135 is anticipated to carry a price tag of INR 1.30 lakh (ex-showroom). The rugged off-roading motorcycle Benelli BX 250 was first out at the Auto Expo 2016 and highly captured the attention of adventure freaks. With stylishly bold rough and tough looks, the machine gets versatile power attributes as well. Talking about the engine specs, the motorbike is armed with a 250cc, single-cylinder, 4-valve DOHC motor alongside a six-speed transmission gearbox. The suspension responsibilities are dominated by 50mm upside down forks with 250mm travel and progressive link mono shock with 110mm travel. With an ample fuel capacity of 9.6 liters, the off-road Benelli BX 250 holds a kerb weight of 135kg. The expected price of the motorcycle is Rs. 1.5 lakh, though, no specific details about the launch are out yet. Fab Regal Raptor, a Hyderabad-based firm which produces cruiser and chopper bikes for the Indian audience via CKD route from its parent company based in Shanghai, China. A new bike will be dedicated to the police department and same security providing sectors of the country like fire and safety, bomb squad, traffic police for patrolling and VVIP escorts services. Currently, the bike is being used by the Gujarat police department and company showcased this new product which indulges with features as GPS system, highly advanced public address system, mobile surveillance connectivity with control room and front and rear disc brakes for stopping the bike and 6 additional sensors for various other task is on the bike. The price details and mechanicals for the police legacy new Regal Raptor has not been disclosed yet by the automaker. But it is expected to carry the beating heart of displacement 200cc to 250cc and may hit the Indian market at the price of Rs. 1.3 lakh to 1.6 lakh. A new offering from the Japanese giant, Yamaha M-Slaz is also an anticipated one, which may hit the Indian market by the end of the year. Already has its presence in the Asian market, this 150cc naked roadster will definitely diversify the Japanese lineup in the 150cc commuter segment in India. And it will fix it place among the prominent commuters and most renowned sports offering YZF-R15. This M-Slaz roadster boasts a 149cc, four-stroke, single cylinder engine that gave the churns of max power 16.09 Bhp and torque of 14.3 Nm for quicker response on the action performed with a throttle. The M-slaz is likely to hold the price tag nearer to 1,10,000 lakh rupee whenever it put its steps in the Indian motoring market. The more premium variant of Suzuki Gixxer is highly awaited in the country by the Suzuki admirers. Earlier there was a little confusion in the automaker’s mind about the access of this 250cc Gixxer variant in India. But now Japanese giant hinted to bring a premium specific variant of Gixxer between 150cc and 250cc by the end of this year. Powering by a probable engine setup of all new air-cooled motor with 250cc engine displacement. Gixxer 250 will produce a power output of 25 Bhp approx. with the concatenated six-speed transmission. About the bike holding the price tag nothing has been disclosed or hinted by the Suzuki, but it may carry the price tag 1,50,000 lakh. Kawasaki motorcycle is planning to expand its Indian product portfolio. According to the reports, Kawasaki will launch the Kawasaki Z 250SL in India two-wheeler market by the mid of 2019. It is street tracker bike and the SL stands “Sports Light”. The street fighter will get new features such as single unit headlamp, muscular fuel tank design, stepped seat and 249cc displacement single cylinder motor. Other noteworthy components are designed tail section, newly design exhaust, and Y-shaped alloy wheels. The compact handlebar provides better riding position with comfortable riding posture on road. The motorcycle will come with all new steel trellis frame, telescopic forks front suspension and mono shock rear suspension. The expected price of the Kawasaki Z 250SL is INR 2,00,000 Lakh ( Ex-Showroom). The South Korea bike maker, Hyosung is all set to launch a naked street tracker, named Hyosung GD250N with the collaboration of its Indian arms, DSK group. It comes with an outstanding look as it is featured with a tipped-forward stance, a halogen headlamp, black rearview mirrors, designed exhaust and compact handlebar. The naked motorcycle measures with 1937 length, 800mm width, 1055mm height and a wheelbase of 1340mm. It houses a 249cc, 4-stroke, single cylinder, liquid cooled, fuel injected, 4-valves DOHC power plant that churns out a maximum power of 28 bhp at 8,500 rpm and a maximum torque of24 Nm at 7,000 rpm. The mill is mated to a six-speed gearbox. The bike will sell at an expected price tag of INR 2,30,000 lakhs. Another one is the largest manufacturer in the Indian industry, Hero Motocorp, the company is going to launch its 250cc entry-level sports bike this year. The crunchy looking bike is ready to fascinate with its impressive graphics and power dynamic. The HX 250R Tourer will be powered by a250cc water-cooled engine that will emit the claimed power of 31 bhp to move faster the motorcycle. The bike is going to be placed as an affordable entry-level motorcycle at the expected price of INR 1.50 lakh. When will the Suzuki Gixxer SF 2018 edition launch? yamaha r15 v3 launch date……..
Till when akula will be launched.. ?? And iths near by price.. ??? Can I know when the hero hx 250 wll come to the Indian market… I am desperately waiting for it. There is no information disclosed by the Hero MotoCorp. Can I know about! Bmwg310r accurate price in india in mumbai #roadprice? Launching date of the upcoming Yamaha Mslaz..??? but yamaha mslaz launch in march 2017 right? plss let me know wat is d launch date of yamaha mslaze…in india? Check out the post for your answer.